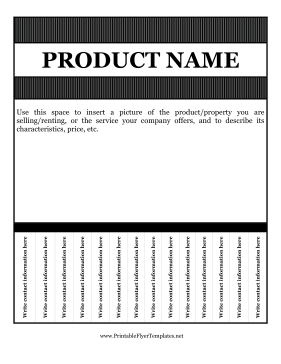 This attention-grabbing flyer includes pull off tabs so interested parties will easily be able to contact you. Vertical black lines give the flyer a classy look without distracting from your message. Whether you're offering tutoring, selling a car, or even looking for roommates, this flyer can adapt to suit your needs.